We will purchase your old Zebra Z4M printers for CASH! The Z4M printers have a personality all their own - along with a rugged look and feel characteristic of a Zebra workhorse. Charcoal gray accents enhance the Z4M s' sleek, contoured design while providing improved dirt-and smudge-resistance in harsh work environments. Among the fastest Zebra printers these state-of-the-art metal printers offer more standard features per dollar- work hard, but are easy on the budget. Among Zebra's fastest printers at 10 inches per second, the Z4M comes equipped with more standard features per dollar than any other printers in their class. With backlit LCD control panel, full-size media window, and auto-calibration, plus a convenient printhead open-lock feature, operating and loading a Z4M printer is truly simple. Zebra Z4M - Exceptional performance, exceptional value! Questions about the Zebra Z4M? We can help. 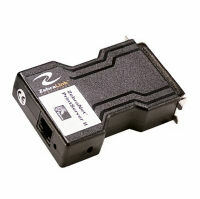 For more information about the Zebra Z4M, or any of our products and services, call us at 1.800.457.8499 or email us. Order your Zebra Z4M today. Order your Zebra Z4M now. Your purchase order, with credit approval, is welcome, as well as all major credit cards, PayPal and Google Checkout. Remember, you'll get FREE technical service with every product you buy from Vecmar.